EcoSilence Drive - motor that's powerful and durable yet quieter than a normal conversation. AntiVibration Design - provides more stability and reduces vibration so noise is minimised.SelfCleaning Condenser - automatically cleans itself and keeps the dryer running at peak efficiency at all times.Air condensation saves on running costs as no water is used during the drying process, unlike conventional washer-dryers.Automatic Self-Cleaning System keeps the condenser lint-free, ensuring the same energy performance every time.VarioPerfect: High-performance programmes which allow you to clean your laundry.30cm Porthole, 180° swing door.Extra large LED display for program progress indication.End of cycle signal.Drying: 153kWh energy consumption.2 Auto programs.Touch control buttons. 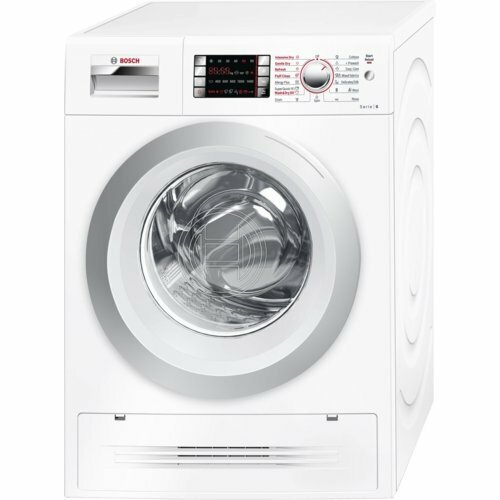 The Bosch WVH28490AU Washing Machine was added to the Washing Machines category in October 2016. The lowest price GetPrice has found for the Bosch WVH28490AU Washing Machine in Australia is $1,565.00 from Billy Guyatts.